The buñuelos recipe comes from Spain, and has little to do with cinnamon tortillas. 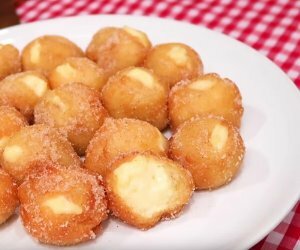 If you like Mexican donuts, then you'll love Spanish buñuelos! Buñuelos are delicious fried dough balls, filled or unfilled, which you can find on the shelves of Spanish cake shops at Halloween and Easter. Although many refer to them as Mexican donuts because they taste similar, it’s better just refer to buñuelos as "Spanish donuts". What is a Spanish Buñuelo? Although there are many types of buñuelos, surely the most widespread buñuelos recipe in Spain is that of the "buñuelos of wind" which owe their name to being hollow inside, because the buñuelo dough tends to swell during frying. Therefore, in most cases, homemade buñuelos are filled with custard or chocolate cream. Pumpkin buñuelos, typical in Valencia, Spain, also form part of the concept of authentic buñuelos, but they, instead of being made with pumpkin cream, are made with a dough in which the pumpkin, roasted and ground, is already included. In any case, this is a very tender and juicy cake that has little to do with cinnamon sugar crisps. 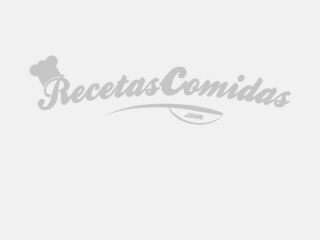 So if you want to discover the authentic recipe for buñuelos that allows you to get a cake like you can see in the pictures, you're in the right place. That’s because we are specialists in Spanish recipes! 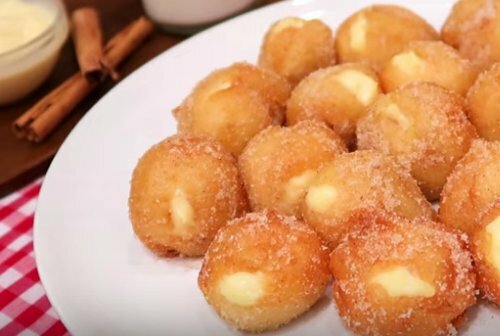 Tender and delicious balls of fried dough stuffed with cream, exploding in your mouth like sweet little bombs. Make them at home with this easy buñuelos recipe! For the buñuelos filling, start by mixing the sugar and refined flour corn in a microwave-safe bowl; then add three egg yolks, vanilla, and milk at room temperature. Beat with a whisk to mix all the ingredients well, and make sure there are no lumps. Put the bowl in the microwave and cook for 3 minutes at full power. Take the cream out, stir, and if it’s not ready, put it back in at intervals of one minute until you get the consistency of custard. Once the cream is done, let it cool to room temperature, cover with plastic wrap and store in the refrigerator while you make the buñuelos dough. Heat the milk in a saucepan, and when it starts to release steam, add the sugar, salt, butter and vanilla essence. Put the heat on low and stir with a whisk (without whisking) until the butter is completely melted. With the heat still on low, add the sifted flour to the saucepan and mix with the whisk. Mix until the dough doesn’t stick to the sides of the saucepan. Leave the buñuelos dough to stand for 15 minutes at room temperature. Add two beaten eggs to the dough, and mix them until you get a creamy texture. Meanwhile, heat the oil to 160°C for frying the buñuelos. Take a spoon and use it to get portion of rounded dough, and use another spoon to place the ball of dough into the hot oil. Repeat until you are frying all the buñuelos. As the buñuelos are ready (puffed and golden brown), bring them out of the oil and put them directly into the bowl with the sugar and cinnamon mixture and cover generously. Put the cream filling in a dough bag. Grab a buñuelo, and make a small cut in the dough with the tips of scissors, just enough to insert the bag nozzle and fill the buñuelo with cream. Do the same with all the buñuelos. As you will see, although the preparation has quite a few steps, actually it’s a real easy buñuelos recipe in which the filling is maybe the part where you could get more done quickly and easily in the microwave. Another filling for buñuelos that’s used a lot is chocolate cream, a mixture of 2/3 of a cup of melted chocolate and just under a cup of whipped cream. In all authentic Spanish buñuelos recipe, it always tells you to use olive oil to fry the buñuelos, but if you don’t have any, you can also use sunflower oil. Now that you know how to make buñuelos in their most authentic version, using a Spanish recipe, you should know that when it comes to serving them, we typically accompany buñuelos with a cup of very thick hot chocolate. On the Internet you'll find plenty of content explaining how to make donuts with flour tortillas, but thanks to our recipe, you can show off by making the most delicious Spanish buñuelos you've ever tasted. You’ll leave your family and friends struck dumb with amazement! 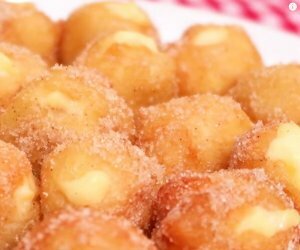 Admit it, cinnamon crisps aren’t bad, but Spanish buñuelos are better! Share the recipe!